Tonight, Monday the 1st of April, I will be visiting St Neots Astronomy Association. 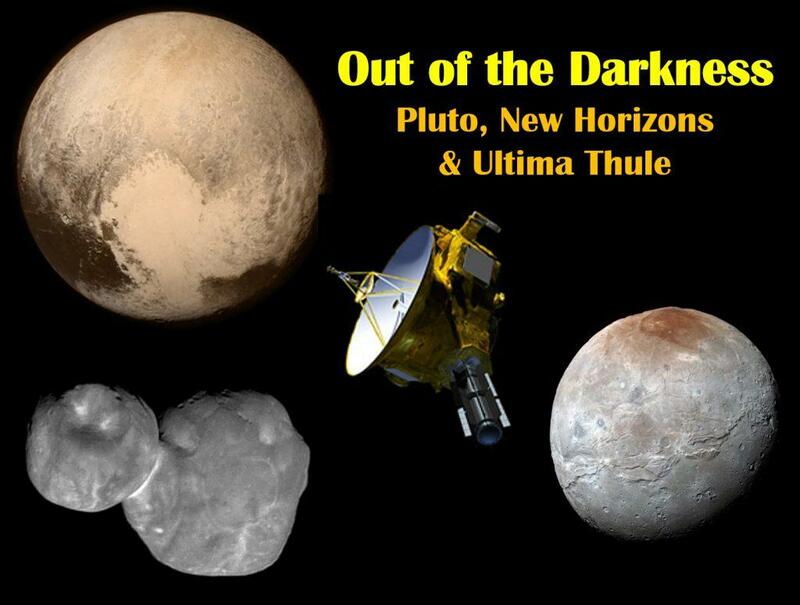 I will be presenting Out Of The Darkness: Pluto, New Horizons & Ultima Thule. The talk takes you through the history of Pluto, from it’s discovery by Clyde Tombaugh in 1930, right up to the results of the amazing Hew Horizon’s mission. This amazing probe finally revealed Pluto and its Moons in fantastic detail as it shot past in July 2015. New Horizons first extended mission allowed it to shoot past another Kuiper Belt object, 2014 MU69, nicknamed Ultima Thule by the mission team, on New Years day 2019. All the data and images transmitted slowly across over 4 billion miles will take 20 months to be returned to Earth. As this data is being returned this presentation is constantly being updated to include new images and findings. From the latest results released the end of last week, it looks like they are having to re-write the text books entirely re-think how Kuiper Belt objects like Ultima Thule are formed way out in the solar system. Little Paxton Pits Nature Reserve. Which is just off the A1, north of St Neots.